Well I bit the bullet and upgraded my two Win7 Pro laptops to Win10 Pro. Then just un-installed my AV software, disabled start-up programs, rebooted and ran the download tool and then opted to "Upgrade this PC now", took a while for the download and install to complete, but it did and when I checked I had a legal activated Win 10 Pro licence. Once the one laptop with the new SSD was completed I ran the update on the newer laptop, again no problems. Can't say I particularly like Win10, but the upgrade was painless and a necessary evil, the software I use for work sadly doesn't run on anything except Windows. I'm guessing the free upgrade route is going to stay open, Microsoft just want everyone to migrate eventually. Are you sure it's not some sort of trial? I thought the free Windows 10 promotion ended a long time ago. As a side question, does Windows 7 Home upgrade to Windows 10 Home, and Windows 7 Pro upgrade to Windows 10 Pro? I am putting off my upgrade until later in the year, but have thought about upgrading earlier. 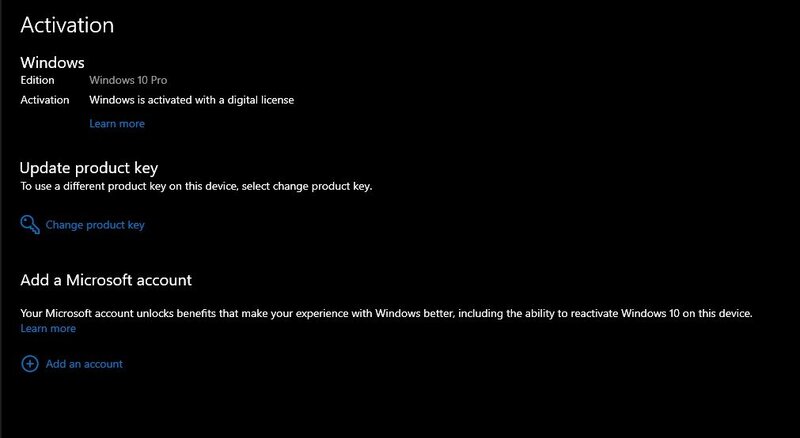 AFAIK a Win 7 Home goes to a Win 10 Home and a Win 7 Pro upgrades to a Win 10 Pro - you stay with the level of licence you originally bought. Although this link is old all the methods are still available. In many cases, you can upgrade your Home Premium to Professional or Ultimate before then moving to Windows 10 Pro. In addition there is no need to upgrade over the top of an existing Windows 7 install. You can simply take a snapshot of the Windows 7 activation, clean install Windows 10 and then apply the snapshot of the Windows 7 activation to Windows 10. This especially useful if wanting to clean install the OS on to a new SSD. You'd be guessing correctly. The free upgrade from Windows 7 is still available. I thought the free Windows 10 promotion ended a long time ago. It never ended. The only free upgrade that ended was the 'Assistive Technologies' freebie. That hasn't ended either. Only the link has been removed. Find the link, run the software and it's business as usual. So what happened to Microsoft's big cut off date for free Windows 10 that had everyone rushing to install it? Why no announcement of an extension back then? Why wouldn't they openly publicize it's still for free? They still want people to change over to W10 but don't want to openly damage the sales of the operating system. So, it's free, without being free. That makes sense. If you prefer to create a new link for yourself, click here and choose Upgrade Now. If it's free to upgrade, why are members posting in the other thread running at the moment where to buy a Windows 10 license? Maybe they don't have a licence for Windows 7 or 8.